All year round, there are special months, weeks and days to celebrate—but is there anything more rewarding than sharing time with family? August is Family Fun Month and a good time to consider putting aside the many things that interfere with quality family time to celebrate the joy of being together with family… and friends too! 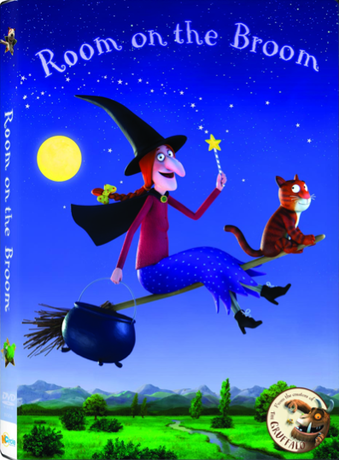 Family Fun Month just happens to coincide with the August 6th DVD release of the multiple award-winning half-hour animated family film, Room on the Broom, from NCircle Entertainment. 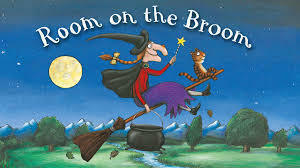 Based on the #1 best-selling children’s picture book in America, written by Julia Donaldson and illustrated by Axel Scheffler (the same author and illustrator team that created the critically acclaimed The Gruffalo and The Gruffalo’s Child), Room on the Broom is filled with humor and adventure, and teaches the importance of family, friends and teamwork! 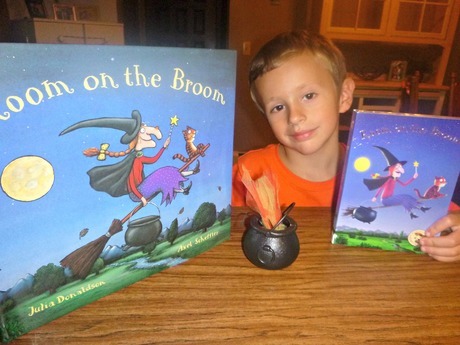 My Experience: I received a copy of the Room on the Broom picture book, as well as the DVD for review for my six year-old son, Braxton. That very day, Braxton and his sister, Myelie watched the DVD and they loved it! That night, when Braxton was in bed, I read him the book. I was very impressed with the colorful illustrations, and I love the way the story is written. It is written in a beautiful poetic rhyming stance similiar to that of Dr. Suess. Everything flows together so very perfectly! It is so much fun to read. The story in itself is very cute and completely entertaining. Such an adorable story and endearing characters. I have read this book to Braxton every night since we received it and he falls asleep to the 'melody' in my voice. We both absolutely love Room on the Broom! Disclaimer: I received a copy of the DVD and book to review and to keep. The opinions are my own.